For Brydie and Celia – Rosettas Rock! Brydie and Celia have been busy downunder making Rosetta rolls and I am joining in here as I got the right press at last from Germany. This is my first try using a white sourdough, so not the right dough, but I am on the trail now of the right one. Didn’t stop Brian eating four of these last night however. In the meantime do visit their beautiful blogs and read their Rosetta posts. 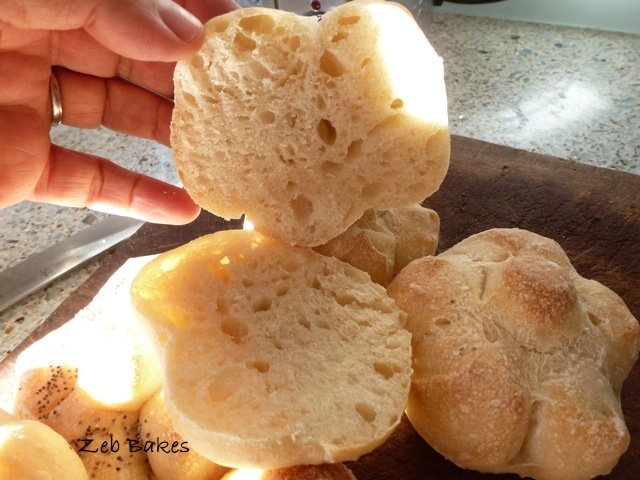 This entry was posted in Blogging, Bread and tagged Bread, Rosetta Rolls on 24/08/2011 by Joanna. I have just sent away for a sourdough starter, So i will be back to look at your rolls again soon i hope, fingers crossed! 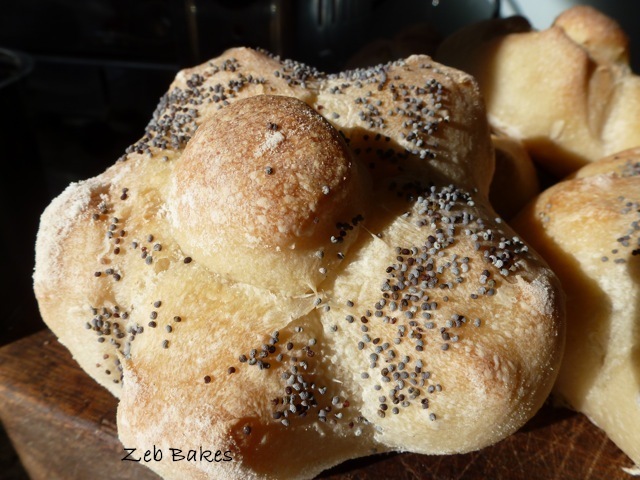 Oh I love that your rolls actually look like little star shaped flowers! Mine look like rolls with a pattern on the top! :) I love the sourdough versions, but look forward to seeing your yeasted ones! They look lovely. I think that Brydie, Celia and yourself are very bad influences and my bank balance doesn’t like it. I do though…. just waiting for a delivery from Bakery Bits so I can play along. Not rosettas though. Your sourdough looks lovely, what kind of dough do you think would be best for showcasing the presses? 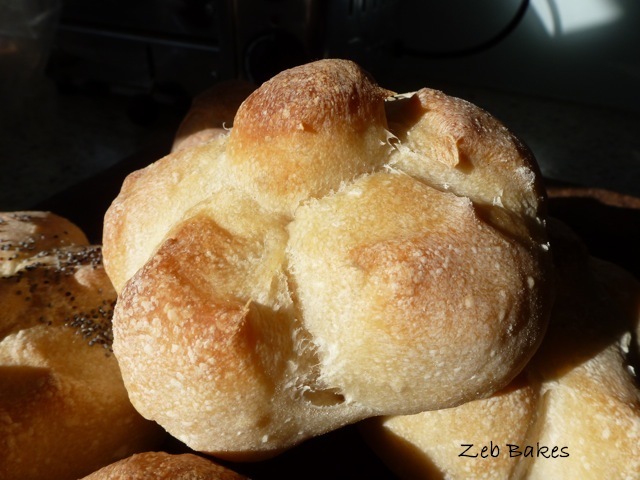 The rolls are walking out of my kitchen, my starter can hardly keep up.